Planning a career in nursing? 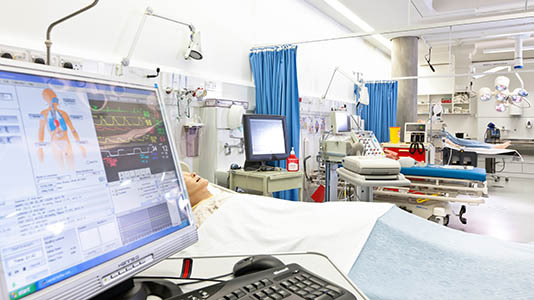 Our state of the art laboratories, set up to simulate hospital ward and critical care environments, are the perfect place to learn, develop and practice your skills. Children's nurses, in collaboration with other professionals, strive to promote health in children and young people to ensure they enter adulthood in good health. Professional accreditation: our courses are approved by the Nursing and Midwifery Council. Graduates of this course are eligible to register as a children's nurse with the Nursing and Midwifery Council. Student satisfaction: we’re the no 1 London modern university for overall satisfaction with course in Health Professions (Guardian League Table 2018). Career opportunities: you’ll gain practical experience in leading NHS Trusts across London, and 99% of students are in employment 6 months after graduating (Destination of Leavers from Higher Education 2017/18). Dedicated facilities: We have two children's skills laboratories, set up like nursing wards for learning manual handling of patients, basic life support skills and skills specific to the field of nursing. Joint 1st in UK for graduate prospects in Nursing (Complete University Guide 2019). Emma's time at LSBU was a hands-on practical experience which led her to volunteer in Nairobi, as well as have many placement opportunities. Emma now works at Chelsea and Westminster Hospital. 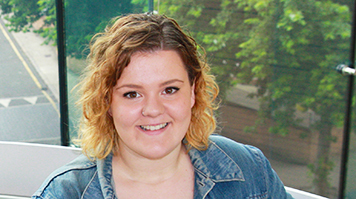 Eden explains how LSBU’s central location and great hospital links made it the perfect choice for her to fulfil her ambition of training as a nurse. The course emphasises a vocational approach to teaching, and prepares you for a career in a range of rewarding children's nursing opportunities across primary care, specialist and intensive care children's units. It will develop your abilities as a student nurse to consider the wider aspects influencing children's health needs, preparing you for future leadership in an ever-changing health care system. You will be allocated one of these hospitals as your host Trust during the course. Methods of assessment for course overall: 53% coursework. This module introduces the nature of evidence in health and social care and the importance of evidence-based practice for children, young people and their families, their safety and quality of experience. You’ll develop skills in accessing evidence, gain familiarity with the library, including use of electronic databases, and learn how to use the university’s referencing system for your material. You’ll learn key terms relating to research and evidence-based practice and be introduced to an evidence-based practice model. The module also sets out the context for the conduct of health and social care research, including funding and ethical aspects. The purpose of this module is to provide the foundational knowledge that informs children’s nursing. You’ll be provided with a theoretical basis for developing core care skills whilst being encouraged to examine the role of the children’s nurse in contemporary society. Throughout the module you’ll explore how nurses facilitate active participation from children, young people and their families in decision making. You’ll also examine concepts of professional and legal responsibilities related to care delivery. The purpose of this module is to equip you with the essential skills and knowledge that underpin contemporary children’s nursing practice. Using safe, simulated environments, supervised placement experiences, and independent learning opportunities, you’ll be enabled to merge knowledge, practical ability and professional attitudes in promoting quality patient/service user care. The module will focus on the development and use of appropriate professional values; clinical, problem solving and interpersonal skills that underpin safe caring practices. This module will be assessed over part 1 of the practice document within clinical practice. The module provides understanding of the structure of the body’s systems and their function and how the human body maintains health. As the structure of organs and body systems is closely linked to their function the two sciences of anatomy and physiology cannot be separated as structure determines the functions each organ or system can perform. This will form a basis for Children’s Nurses to build upon over the future years. It has been designed to run across the whole year to ensure consistency and application as students experience a variety of practice areas. This module aims to introduce the concept of collaboration and recognition that contemporary healthcare relies on working together to achieve optimum care delivery. This will be delivered alongside other students from a variety of professions within the School, with input from lecturers within these professions. Throughout year one, you’ll receive preparation for entering the practice learning opportunities and following each practice experience (three 6 week placements) you’ll be invited to evaluate and meet to reflect on your experiences and learning with your Personal Tutor with a group of peers. This module builds upon the concepts of inter-professional learning and collaborative practice gained in year one of the course and expands to look at the environment, teamwork and collaboration. It will promote the exploration of inter-professional practice in the clinical situation working with peers and health consumers. The pattern of placement provision will continue to provide a variety of placement settings to ensure you can develop a range of skills for caring. This module considers how research questions are generated from practice with application to Children’s Nursing. The steps in conducting research and audit and the main research methods in health and social care are explained, and associated ethical aspects are discussed. Methods of analysing and presenting different types of research data are introduced. The rationale for appraising research is considered and critical appraisal tools are reviewed. The module equips children’s nurses with the core skills and understanding to appraise evidence and assess its appropriateness to be implemented into practice. This module further develops the anatomy and physiology themes, which were introduced in year one, with a specific emphasis on application to child health and children’s nursing. Pharmacokinetics and pharmacodynamics will be explored in relation to children and young people. This module explores issues such as safeguarding, transition, and promoting health, as well as recognising and addressing the physical and mental health problems of childhood and young people. Approaches need to be child and family centred and directed at empowering children and young people to be independent where appropriate. The purpose of this module is to build upon learning and develop practice skills and knowledge. You’ll continue to use safe, simulated environments, supervised placement experiences, and independent learning opportunities. The module will focus on the development and use of appropriate professional values with a stronger emphasis on becoming more analytical and reflective in your problem solving skills. Additionally you’ll be challenged to work towards developing effective clinical and communication skills to support practical care giving. This module will run over semesters 1 and 2. This module will explore leadership, quality improvement and change within organisations from an inter-professional perspective. The module looks at a strategic, evidence based approach to change management in a range of environments. It will integrate the perspectives of service users. In this module you’ll focus on a topic relevant to your practice experience and examine the underpinning evidence, identifying limitations and drawing conclusions. You’ll examine evidence-based practice models and analyse factors that influence the implementation of best evidence in practice. You’ll reflect on how implementing best evidence affects the experiences of children, young people and families and how best evidence can be communicated effectively. This module has been designed to integrate the application of theoretical and clinical knowledge, skills, attitudes and values required to underpin managing the caring of the critically ill child and young person and their families. The module will build upon your knowledge and help develop a clinical reasoning approach to the care of a critically ill child or young person. It aims to examine the assessment, observation, close monitoring and intervention required to manage a critically ill child or young person. This module aims to develop knowledge and understanding of the principles of pharmacology and medicines optimisation. Medicines optimisation focuses on encouraging all healthcare professionals to work collaboratively with each other and patients to optimise the effectiveness of pharmacological interventions (NICE 2015). This module will relate this to the care of children, young people and their families, with an emphasis on clinical application. It will explore and discuss the general principles of pharmacodynamics and the complexities of pharmacokinetics in relation to the child. Commonly used medications will be identified and explored in the context of a variety of care settings. This module will consider and evaluate the role and responsibilities of the nurse in relation to the safe administration of medication in clinical practice, including competency with drug calculations. Day-to-day duties for a children's nurse are varied; from administering drugs and injections, recording observations on vital signs, to explaining treatments and procedures to gain consent from parents/guardians. With experience, there are multiple opportunities for specialisation as you progress, including counselling, intensive care, cancer care, child protection, ambulatory care, orthopaedics and asthma. Long shifts, unsocial hours and possibly being called to work at the last minute are all common. A children's nurse starts on a salary around £21,000. However, with career progression and developed experience this can extend to well over £50,000 (Prospects). All graduates can apply for employment with the NHS Trusts/hospitals where they gained experience during training. We have an excellent record in graduate employment, including working overseas, and covering a range of qualified nurse positions. Experience is gained in a number of world-renowned central and outer London hospitals. You will have one of these hospitals as your host Trust during the course. Success on this course makes you eligible to register as a nurse with the Nursing and Midwifery Council (NMC). Children's nurses work in a multi-professional team, which is reflected in the variety of speakers who contribute to the course. Expert speakers include service users such as parents and charitable organisations, expert practitioners and other lead professionals in child health and children's nursing. During the course you will spend 50% of your time involved in academic study and 50% in clinical practice. A clinical practice placement allows you to work with a range of health professionals in clinical situations to develop the skills, knowledge and experience required to become a competent nurse. Although sometimes initially challenging, practice learning is one of the most engaging aspects of learning to be a nurse. You will experience a variety of clinical settings such as NHS acute Trusts, community placements, independent and voluntary organisations. You will also undergo a placement within the community. You will have two clinical placements. These are designed to introduce you to professional work and to develop essential care and basic assessment skills, as well as to learn about infection control and safeguarding vulnerable people. You will have three clinical placements of around eight weeks each. Building on experience gained in first year, you will begin to take on more responsibility, looking after one or two patients under supervision. A different context of care - e.g. prison, private health care facility, social care, charity, hospice etc. A research team in a given area. Whilst on the clinical placement we ensure that our nursing students receive continuous support and guidance from a dedicated mentor and practice learning teams made up of lecturers and practitioners. 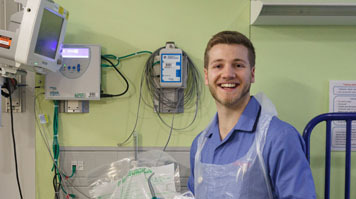 Find out more about nursing placements through our student and graduate testimonials. As the leading university for Children’s Nursing in the UK, we are continually developing our opportunities in response to the changing needs of health care. One such initiative is the neonatal pathway. Neonatal nursing is a specialist field of nursing delivering care to sick newborn and preterm infants and their families. Students on the neonatal pathway will have an additional Preparation for Practice Day where clinical skills will be introduced and developed each year. They will complete the same theoretical modules and assignments as other students undertaking the BSc in Children’s Nursing, thus the end qualification will be the same. Successfully completing this pathway will facilitate you, as a registered children’s nurse, to progress onto your Neonatal Qualified in Speciality training and to deliver the best care to vulnerable patients and their families. For further information or queries on the neonatal pathway please contact neonatalpathway@lsbu.ac.uk. 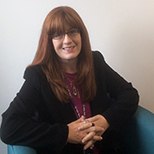 Jane Brett is a Senior Lecturer in the Department of Children's Nursing, School of Health and Social Care. Tamzin Dawson is a Senior Lecturer in Children's Nursing in the School of Health and Social Care. 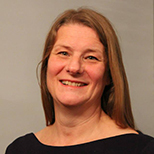 Catherine is a paediatric nurse, with extensive clinical experience in the care of the critically ill child. She is a link lecturer for placements at Great Ormond Street Hospital. 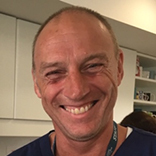 Stuart has worked in neurosurgery, neurology, theatres, neonates, intensive care and accident and emergency. 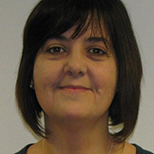 Rose Mahoney is a Lecturer in Children's Nursing in the School of Health and Social Care. Jeyran Panahian-Jand is a Senior Lecturer in the department of children's nursing. 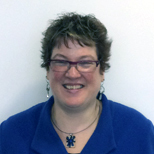 Carolyn Seeman is a Senior Lecturer in the Division of Children's Nursing. She has been working in Nurse Education in either a full or part-time capacity since 2001. Katie is an adult and paediatric nurse with extensive experience in a variety of clinical and managerial settings. She is a Link Lecturer at Barking Havering and Redbridge Hospital, Haven House and Little Havens Children’s Hospice. 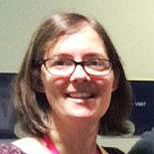 Fiona Whitwham is a Senior Lecturer and the Admissions Tutor in the Department of Children's Nursing, in the School of Health and Social Care. For our Children's Nursing courses we have two children's skills laboratories. 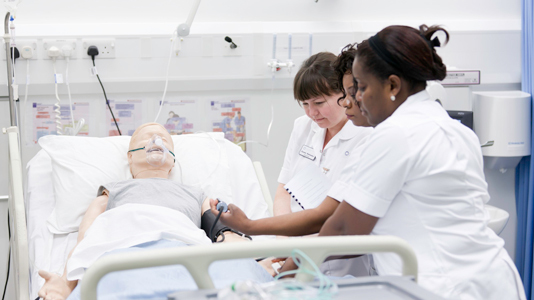 These skills labs are set up like nursing wards and are used by all student nurses throughout their on-campus study time at LSBU. They learn manual handling of patients, basic life support skills and skills specific to the field of nursing. The nursing wards have simulator mannequins; SimMan, SimBaby and SimMom. These life-size mannequins are computer controlled and can be programmed with various clinical conditions. They are operated by a computer in real-time and so respond to a students' actions. They also allow students to see the outcome of specific interventions in certain scenarios, which could make the patient better or deteriorate quite quickly. The mannequins are used to teach students how to recognise clinical signs, and to also associate those clinical signs with the actions they are taking to care for the patient. SimMan can be male or female with fully accurate anatomy and can breathe, blink, sweat, speak and groan in pain as well as have a pulse. Read more about SimMan. You will have appointments with your personal tutor at least 4 times a year and after every placement throughout your course. You can contact your tutor for additional support by email or phone. Equivalent level 3 qualifications worth 112 UCAS points; and GCSEs Maths and English A*-C (reformed GCSEs grade 4 or above) or equivalent. Please send your application through the Universities and Colleges Admissions Service (UCAS) using our institution code L75. 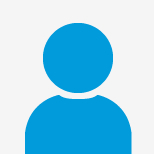 UCAS is the organisation responsible for managing applications to higher education courses in the UK. See our How to apply page for further details. If you are unsuccessful in your application to LSBU for this year you cannot apply through UCAS Extra or Clearing. However you can apply for the following year. It is important that you read the comments in the results statement so that you are prepared for any other interviews you may have. If you’re invited to an interview you’ll be asked to indicate whether you’re interested in being considered for the neonatal pathway. This opportunity will allow you to have at least one placement each year in a neonatal setting. Please be aware not all hospital trusts offer this opportunity and this can be discussed further on the interview day as this may affect your trust preferences. If you apply before the January UCAS deadline and have indicated you’re interested in the neonatal pathway you will be contacted in April and asked to submit a 500 word statement. If you apply after the January deadline you will be offered the opportunity to apply for any remaining places in August/September. This opportunity will allow you to experience healthcare in both hospital and community settings, developing your skills to prepare you to deliver care closer to home. Once you have accepted your offer, you will be asked to submit a 500 word statement about why you have selected this pathway. 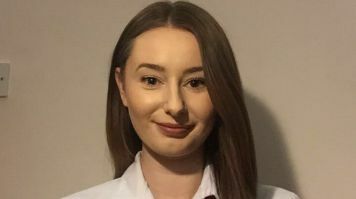 Eleanor Unsworth is studying Children’s Nursing at LSBU and was surprised how easy and simple it was to secure her spot through Clearing. A strong family tradition meant Ollie had always known he was going to be a nurse. When he visited LSBU on an open day, he found the right place to make it happen.